I'm looking for a WordPress website speed optimisation freak who can hack my load times and get my site blazing. It's a Themeforest theme with a lot of backend functionality that obviously hasn't been optimised for speed so there's plenty of room to improve. 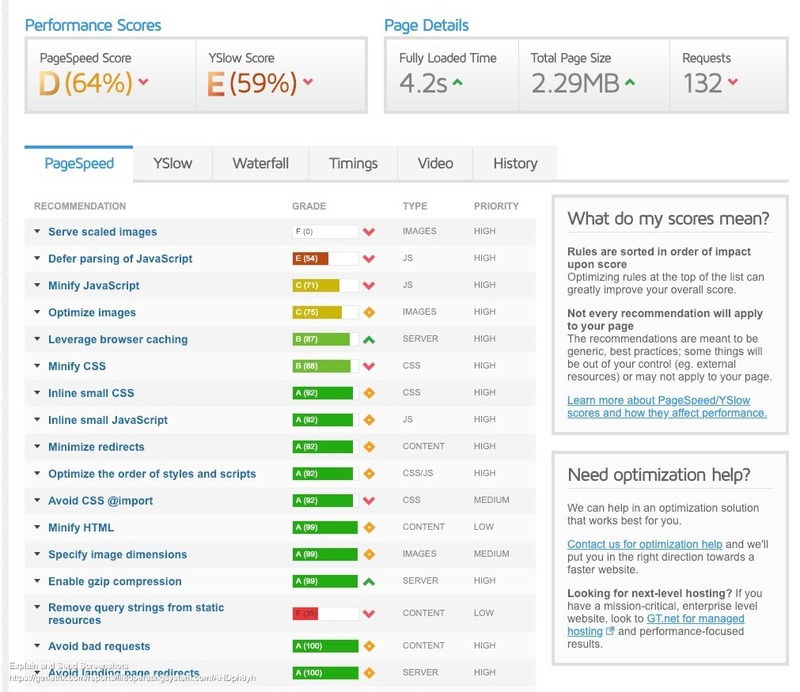 If you or someone you know is great with speed optimisation, please PM me. Are you using any sort of caching plugin? I use WP Rocket. You might also want to look at using an image compression/resizing plugin like ShortPixel. Thanks, mate. I'll check those out. I think there are some serious issues with how the site is built though that could be changed to really up the speed. Love to get those sorted out. I can personally attest to the mighty skills of @Ryuzaki. There is no doubt that he could get your website lightning fast, as he did with one of mine. The only thing would be budget, if your website is not producing much money then you might need to look elsewhere, however If you have the budget I would go with him for sure. He is super fussy, a great communicator and very trustworthy, a combination that's pretty hard to find in this industry. Thank's @adamandeve. I just found someone who I'll give a crack and if he doesn't work out, I'll reach out to others. Let me know how you get on with the 'serve scaled images', that has been one I cannot figure out when the theme is spewing dynamic images for different devices etc. I won't be the one doing it so I doubt I'll be able to give you any info, regardless of the success of the work, but I'll be happy to put you in touch with the guy if he's successful and maybe he'll be able to help out. That's a Wordpress function that helps serve scaled images. It automatically grabs all of the extra image sizes generated by your theme and inserts them as options to be loaded based on the width of the viewport. The problem is that it can't magically match the width of the viewport to the proper image width, which is where you have to come in with the proper CSS to make sure everything continues to look okay. It's an overall net positive for speed to have this if you're generating enough image sizes. If you're using pre-built themes, then you're better off leaving it in there. I'm not sure how the new Block Editor handles it. I don't think it uses it at all. It has users control the width of each image individually and has your visitors load the size you uploaded, even if it's way too big. I'm sure this will change in the future. @Louey37, hit me up in the future if your guy doesn't pan out. There's usually a limitation to how fast you can get on pre-built themes with lots of plugins, but you can definitely see some gains. And a lot of that boils down to your willingness to get rid of as many plugins as you can, and implement stuff plugins are doing in manual ways. Which can also be a pain on pre-built themes. Speed optimization on these kind of sites, done correctly and fully, is a collaboration between the site owner and the optimizer. Thanks for the offer @Ryuzaki. I'll see how this guy goes and reach out if necessary. The theme uses a lot of plugins but I'm definitely keen to get the load time down as much as possible. Definitely echoing what @Ryuzaki is saying at the end there. For those off the shelf sites it does become a bit of a trade off between "full custom rewrite", "lots of features" and "blazing fast". Unless it's a big money project usually there's a happy medium somewhere between the last two where you can remove plugins that barely make a difference and omit a couple of unnecessary featured that make minimal difference to UX.